‘All the people who are to associate with him [Brigadier “Trotsky” Davies] must be sound, intelligent, prudent, close-mouthed, and a hundred per cent loyal to our cause,’ I instructed the commander. 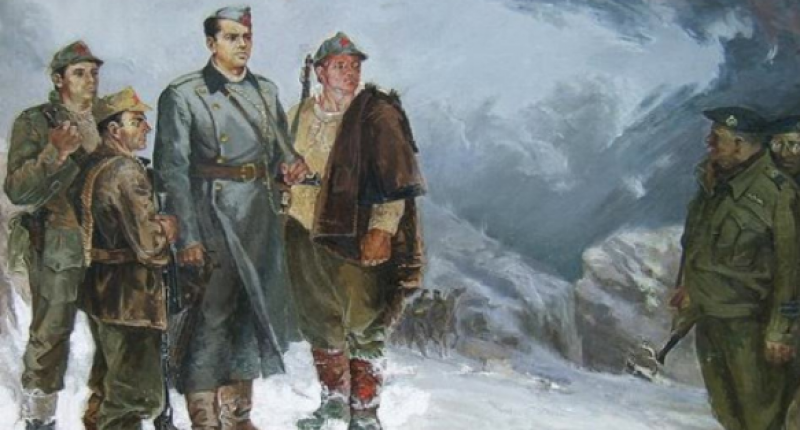 ‘Where do you think we might billet the British General for the time being?’ I asked Kadri Hoxha, pretending that I could not guess the place he would name. This blog’s regular reader might remember that a few months back I met up with Professor Ferit Balla and his son Herold, whose family sheltered Brigadier “Trotsky” Davies and his mission for several days in December 1943. The Germans were none too pleased, and blew Chez Balla up (using British plastic explosive, I think). Ferit’s uncle was left with just the clothes on his back, and his wife and eight children to care for. It wasn’t until 1950 that he was able to rebuild the house, on a much smaller scale. My main cause for excitement when I met Ferit and Herold was the fact that they turned up with the unpublished memoirs of Kadri Hoxha, who was with Davies’ SPILLWAY mission for most of the harsh winter of 1943/44 (I’ll be posting more about the memoir anon). Ferit also mentioned that he intended to restore the Balla house, which at the time of our meeting was in a pretty bad state. 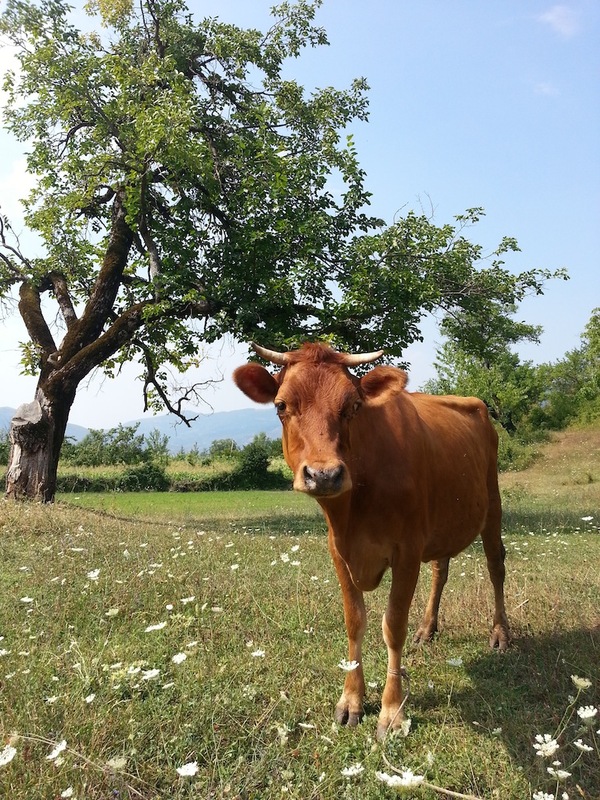 Well, last week I was finally able to get out to the village of Orenje, in the heart of the Çermenika hills to the east of Tirana, to see what Ferit and Harold had been up to. First, a word on Orenje. It’s down a rough dirt track, about 50 minutes from Librazdh – not a road you’d want to tackle in a hatchback. It’s just a perfect situation; traditional stone houses peppering a lush green valley. 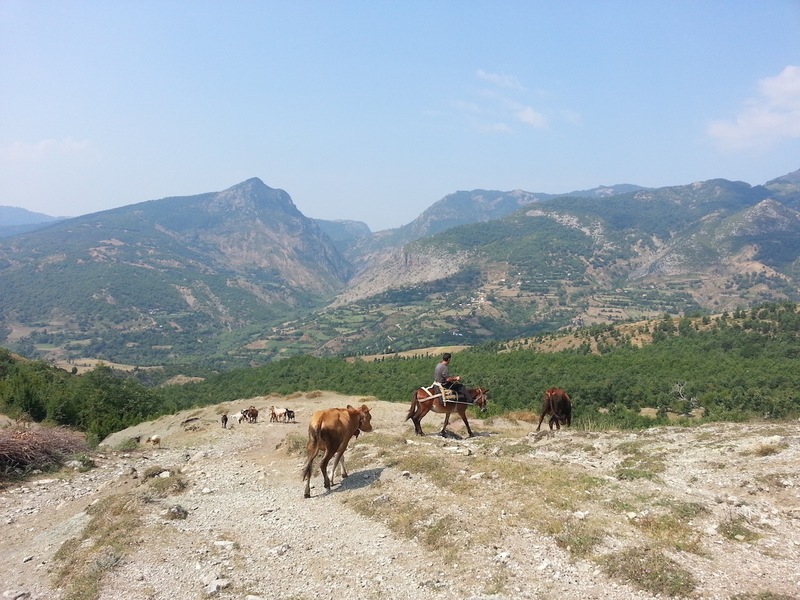 I’m rapidly discovering that the Çermenika region is a real rural idyll. And no one in Albania seems to know it exists. To be frank, and at the risk of being controversial, young Albanians are usually pig-ignorant about their own country, but even I’m shocked by how off-the-radar the Çermenika is. Albanian women hate the countryside on principle as they associate it with goat-herding and chipped nails, and Albanian men are too busy drinking espresso, staring lustfully at the Balkan version of MTV and peeing over loo seats to explore their homeland, so it’ll probably be a few years before the area gets discovered and improved with half-built concrete-and-marble villas. Now for the Ballas’ house. It’s going to be really special. 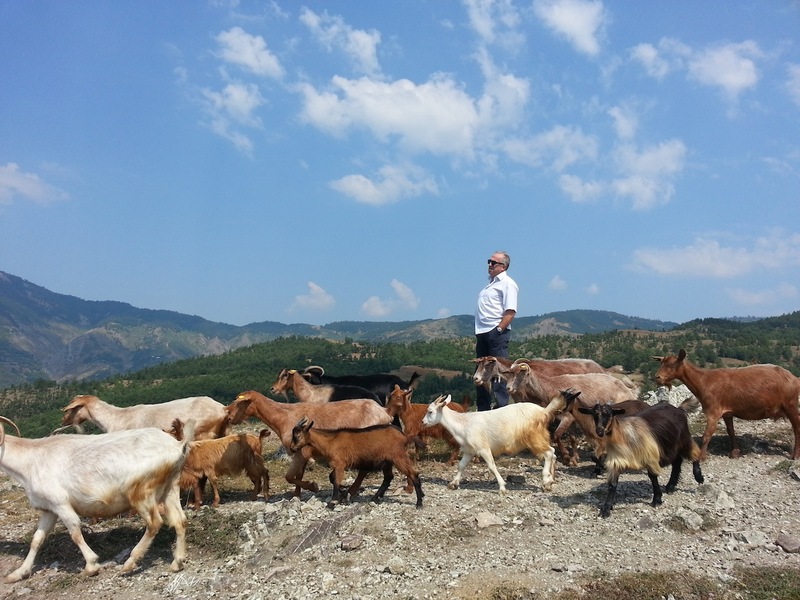 I met a bloke from a travel company last year who was looking into adding Albania to his portfolio. He decided against it as it could be so “tacky” (his word). He was right; there is a dearth of charming, characterful, tasteful accommodation. He was probably hoping to find something like this, and arrived a few years too early. Ferit and Herold intend to use the house themselves, and rent it out to tourists at other times. I suspect it’ll be booked out solid from April through October. 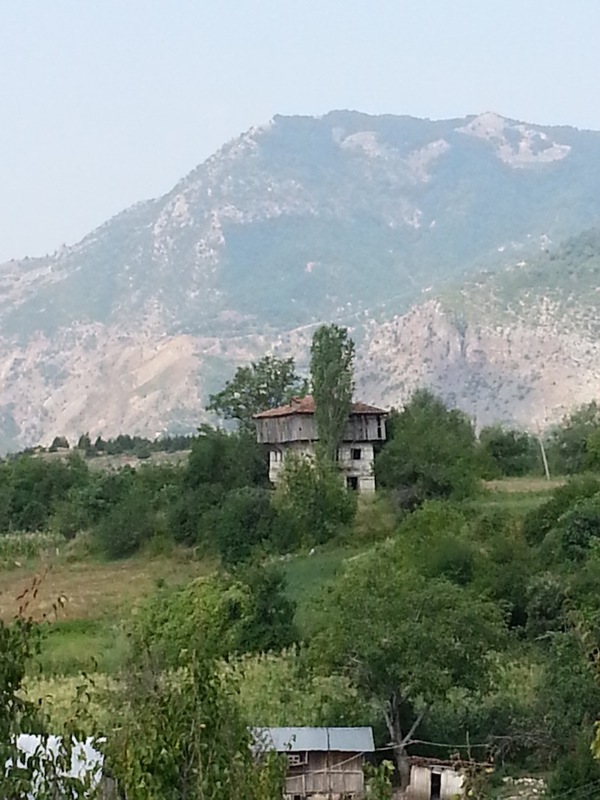 There’s just nothing like this in Albania right now. It even comes with its own cow. 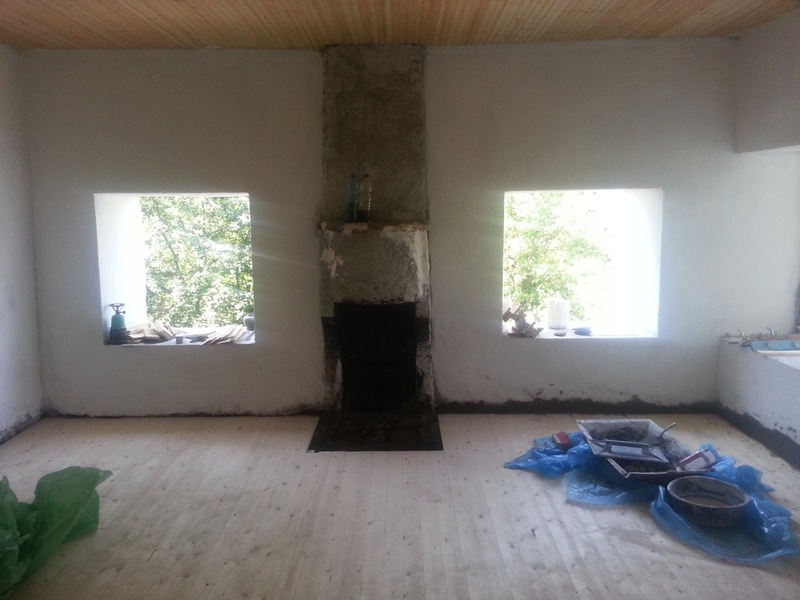 I’ve paid a couple of visits to Orenje now, and the house is coming on quickly. What would take months for a team of builders in the UK gets done in just a few days over here, and as a fraction of the price. Unfortunately not a lot is left of the original, blown-up house, which was apparently three stories high. Just a couple of doors. 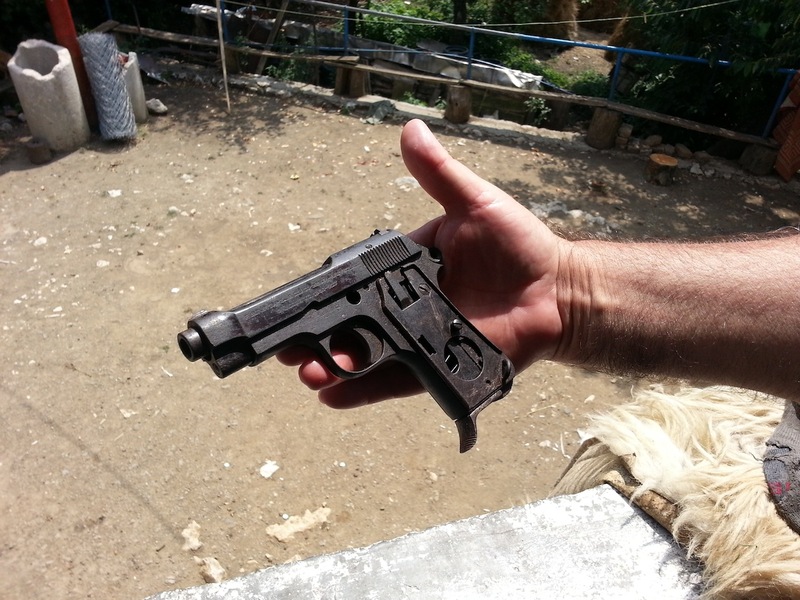 Ferit tells me that he and his brother used to play with a British Army typewriter when they were children and, as kids do, destroyed it. There are no restaurants in Orenje, so we popped next door to Ferit’s sister’s place for lunch on our first visit… and raki. It turns out that Ferit worked for the Ministry of the Interior back in the communist days, and dealt with both Enver Hoxha and Mehmet Shehu (a grim character). He assures me that when Enver died the prisoners were crying more than the guards. One of those sobbing prisoners, it is pertinent to mention, would have been Kadri Hoxha, who spent about 40 years in various lock-ups after the war. Ferit also poo-pooed some of the more extreme rumours about Enver Hoxha (no relation to Kadri, by the way). No, Enver didn’t receive blood transfusions from new-born babies to treat his cancer (I’ve met two thirty-something men whose mothers made a point of giving birth outside central Tirana for just this reason). And no, Enver didn’t go gay when he was in Paris in the 1930s – he was too busy mucking around with Edif Piaf. Anyway, you can see a gallery of my Orenje photos here. * Davies was 42; Enver Hoxha 35. Hi Edward, thanks for sharing all these adventures on your blog really great to get a perspective of the areas from todays point of veiw. Which in this case doesn’t seem a million miles from 1944 as so many other places do today. Just got back from a trip to Germany mainly for help with my Daughters A level studies, we flew into Berlin and headed to Leipzig where we had an apartment as a base to explore the region, it was great to see so many places I have read about over the years and the old East Germany part isn’t to “touristy” yet. Did you manage or is it on the horizon to visit that aircraft crash site soon ? Thanks for the comment, Steve. I want to get to the plane crash in the next couple of weeks! It’s close to Bizë/Biza, where Davies and co parachuted in, but a good three hours from the drop zone apparently, up a mountain. Very curious to see what’s left.